The Voyage Of Charles Darwin is the BAFTA winning BBC series examining the life and work of the great naturalist, first broadcast in 1978 to wide critical acclaim. Narrated by the character of Darwin himself (Darwin's real journals provide the source material), he looks back over his life from his university days onwards. 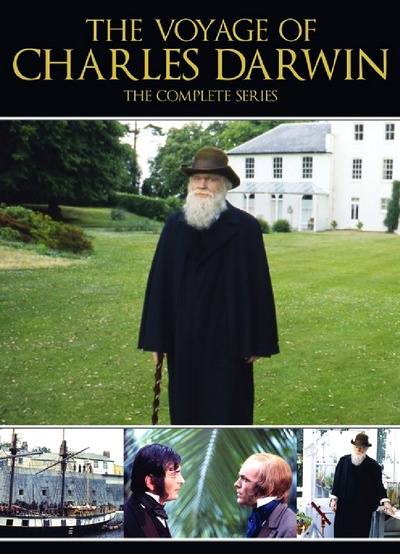 Chosen for an expedition aboard HMS Beagle, young Darwin rejects a career as a doctor or minister, and during the five year global voyage that is to follow he devotes his life to science. But upon his return his radical theories are attacked by the scientific establishment. Darwin spends the next twenty three years formulating his theory of natural selection, culminating in the controversial publication of his landmark work 'On The Origin Of Species' in 1859. Shot on location in the UK, the Galapagos Islands and South America, this celebrated series won two BAFTAs: Best Factual Series and Best Cinematography.